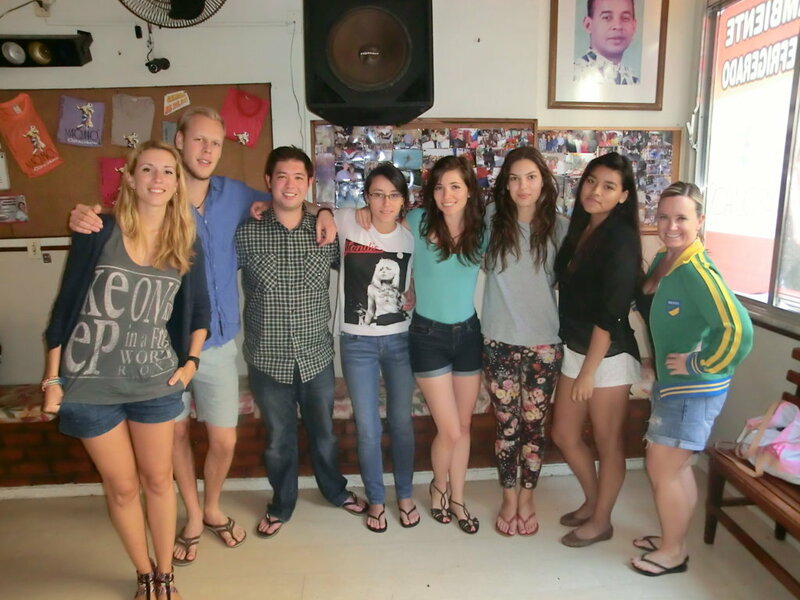 Dancing Samba - Learn Portuguese Rio – RioLIVE! Die Aktivität “Samba” hat mir gut gefallen. Die Tanzschule ist gut gelegen und sehr nahe von der Schule. Wir haben dort die Basisschritte von Samba gelernt. Die Tanzlehrerin hat uns die Schritte zuerst zur langsamer Musik gezeigt und dann tanzten wir zur schnelleren Samba Musik. Man konnte ihr sehr gut folgen. From an African origin, samba is one of the most popular musical rythms in Brazil. In Rio de Janeiro, samba is present everywhere. 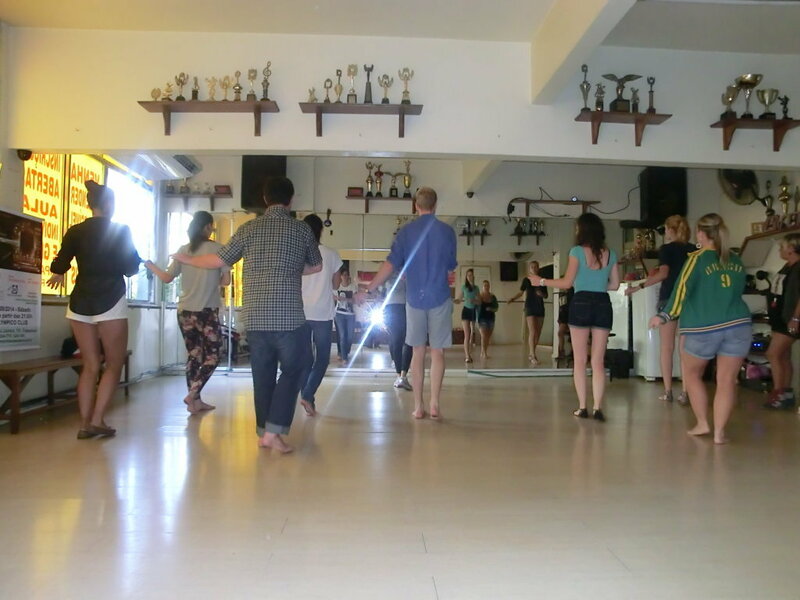 Besides that, many foreigners want to learn how to dance it. For all these reasons our RioLIVE! 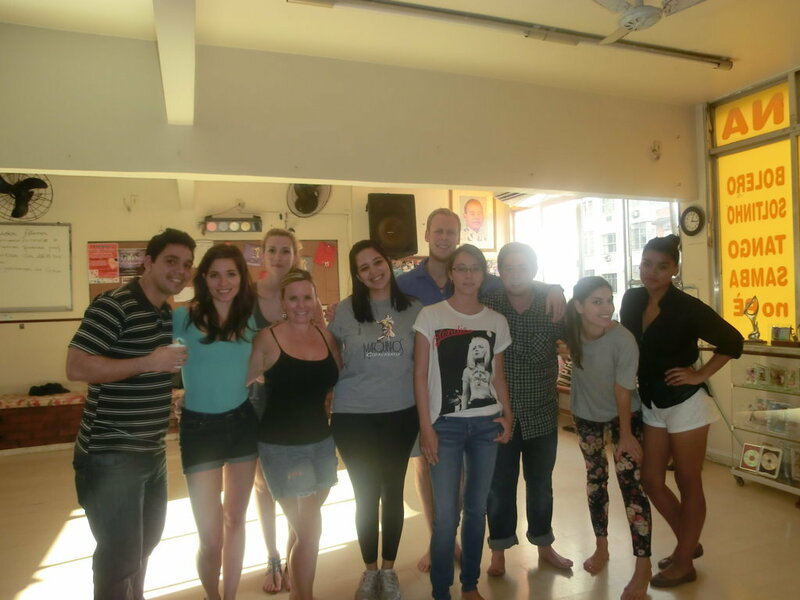 live today was a samba class at Marquinhos Copacabana Dancing School. We left the school and walked until the place where the activity was done. 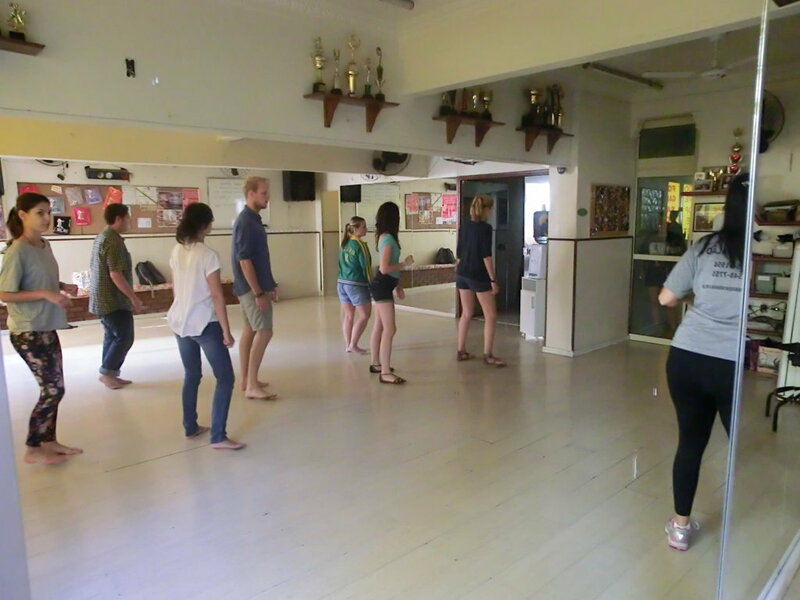 Along with the teacher we formed a group of ten people , who were very excited for this big challenge of learning this typical Brazilian dancing style. They were very shy in the begining , but they needed only few minutes to get loose and show their samba skills, learned in some minutes. In the end of the RioLIVE! many students practiced your Portuguese at the reception, because they were so excited that decided to hire more classes. 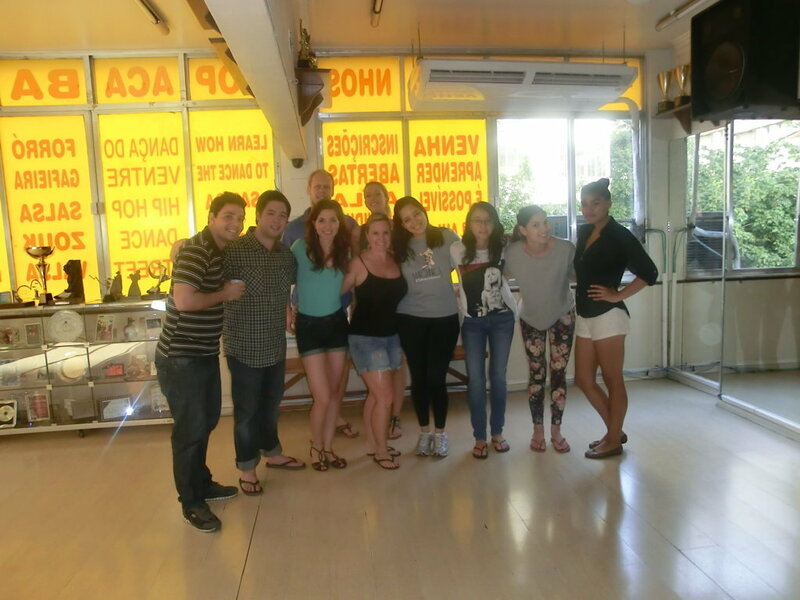 So, we succeeded in this activity, since we practiced Portuguese and we had a lot of fun. Come you too and take part in our RioLIVE! activities.